​Newcastle United owner Mike Ashley is reportedly confident that Rafael Benítez will commit his future to the Magpies and sign a new deal, following the club's unprecedented £20m transfer deadline day signing of Miguel Almirón. Fans of the north east side were left stunned on the final day of the transfer window, as their notoriously stringent owner finally delved deep into his pockets to fund the signing of the Paraguay international. In addition to Almirón, the club also brought Monaco defender Antonio Barreca in on a loan deal until the end of the current campaign. According to the ​Mirror, Ashley believes that since he's provided Benítez with two new players, he will now finally commit his future to the club, after months of speculation regarding the former ​Liverpool manager's long-term plans. 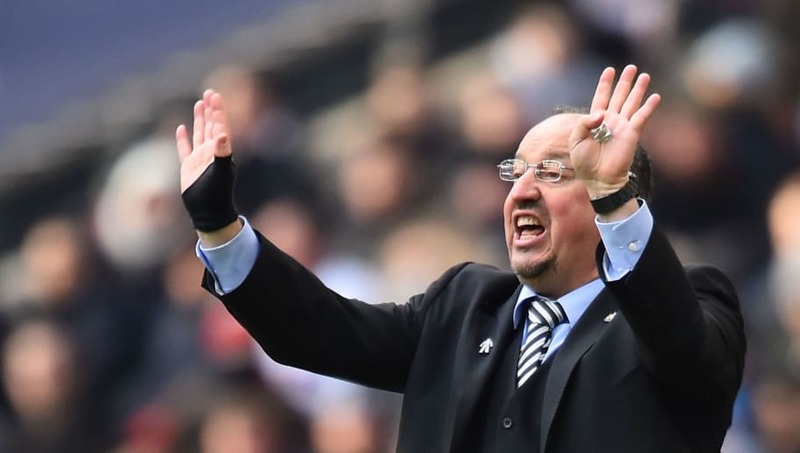 The report suggests that tensions have thawed between the two parties, and that Ashley is hoping for Benítez to make a decision within six weeks. The 58-year-old's current deal expires in the summer, which has prompted a number of sides to sound out the coach over a possible St James' Park exit at the end of the season. However, Ashley is believed to be ready to offer a lucrative three-and-a-half-year deal to Benítez, which would secure the fan favourites' future on Tyneside until 2022. While the ​Magpies' form has improved of late, with a stunning 2-1 win over ​Manchester City the highlight of a solid run, they are still just two points clear of the relegation zone, and Benítez may be unwilling to commit his future to the club while their ​Premier League status is not assured for next season. Meanwhile, the Magpies boss ​admitted his side underperformed on Saturday, as they ​narrowly lost 1-0 to Tottenham Hotspur at Wembley Stadium. Benítez's side shut out their opposition superbly for the majority of the match, but were undone late on as Son Heung-min capitalised on goalkeeper Martin Dúbravka's error to secure Spurs the three points.